Vocal Explosion are a 17 piece choir specialising in world music - Eastern European, Corsican, African, Middle Eastern, Celtic, Cuban, Gospel and much more besides, even Gregorian chants and beatbox. 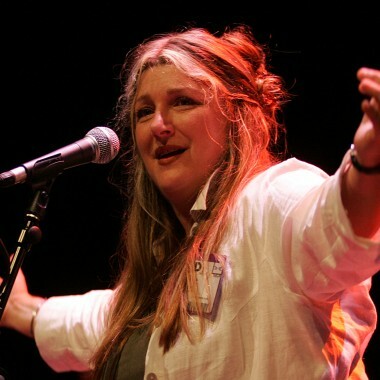 Musical Director Juliet Russell writes much of the material which is heavily influenced by the above cultures; the sound she creates often has a ancient feel with bass hypnotic rhythms and a multi-layering of harmonies. 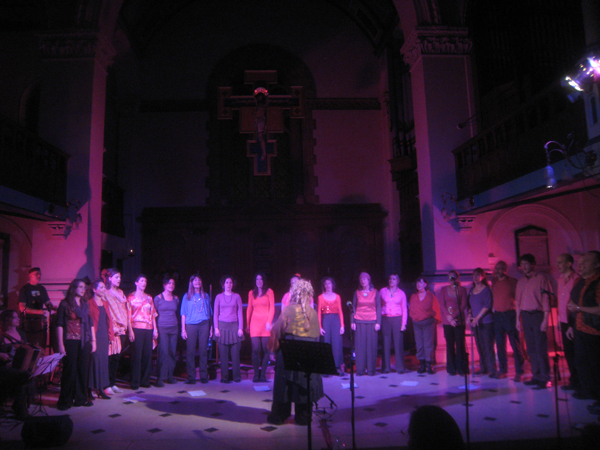 Vocal Explosion are a 17 piece choir specialising in world music – Eastern European, Corsican, African, Middle Eastern, Celtic, Cuban, Gospel and much more besides, even Gregorian chants and beatbox. Musical Director Juliet Russell writes much of the material which is heavily influenced by the above cultures; the sound she creates often has a ancient feel with bass hypnotic rhythms and a multi-layering of harmonies. 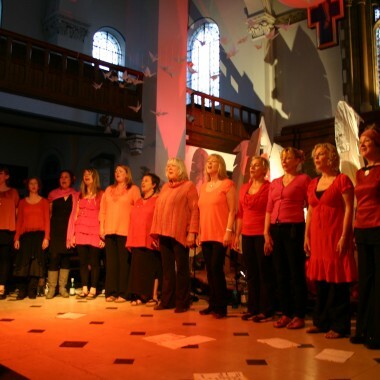 The choir can work either as an a cappella ensemble, providing both upbeat and atmospheric, ambient music or with hand percussion, a brass section and various instruments including violin, accordion, Celtic pipes, flamenco guitar and Klezmer clarinet. Addition of vocal quintet – a sub-section of the choir who produce a bass heavy sound often working over a vocally percussive, powerful soundtrack combining contempoary beats with a monastic tone. Vocal workshops using many musical influences from Gospel to Eastern European and all in between. Lead by Juliet, these workshops can be tailored to the event. Juliet has been a facilitator for the last 20 years. In addition to festivals, she has experience of working with corporate clients, in the public sector and throughout all areas of the community, providing workshops in everything from basic beatbox to teaching music teachers.